Driven by a resilient domestic demand, the Malaysian economy has seen exceptionally good performance last year. In 2018, the first quarter displayed a better-than-expected performance. According to projection by the government, gross domestic product (GDP) of Malaysia is expected to grow between 5.5% and 6% in 2018. In addition, it is expected private domestic demand to remain robust. All in all, the outlook of Malaysian economy in 2018 remains positive. During the last 3 months, 3E Accounting Malaysia has also seen some positive achievements and the “Leading Accounting Services Provider of the Year” is one of the achievements that has once again vouched for our credibility. 3E Accounting Malaysia seeks to become an all-round service provider in the fields of Company Registration and Corporate Secretarial services, from the company registration to the very end. Therefore, we offer a wide range of services, from company incorporation and accounting fields in immigration/work pass application, virtual office, stamp seal maker, taxation, corporate secretarial, accounting, human resource, business advisory, business set up, to cloud accounting software sale. 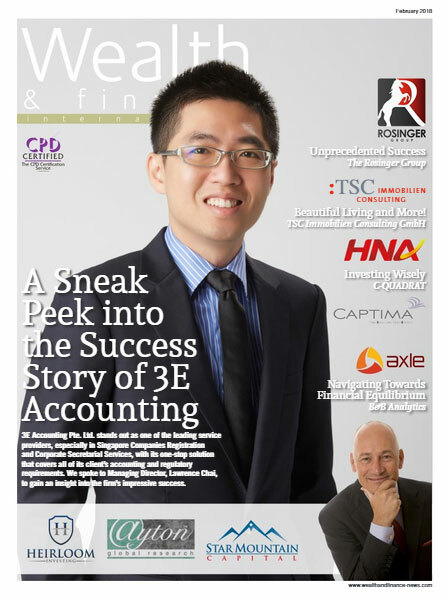 Within a few years, 3E Accounting Malaysia has drastically improved and continues to customise our services to meet new customer challenges. Today we are proud to say that the services are more comprehensive and completely affordable to many people. The award has indeed vouched for our brand and reputation; we are the leader in accounting service! 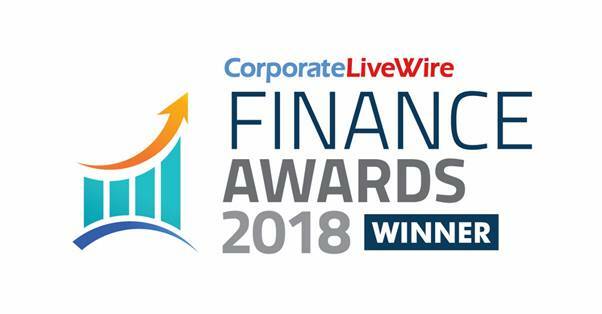 We were awarded the Accountancy Firm of the Year 2018 by Corporate LiveWire Finance, adding one more feather in our cap. Sponsored by UK Business Circle and presented by Corporate LiveWire, the awards celebrate outstanding performance in the financial industry. To us, the recognition serves as an endorsement for 3E Accounting’s continuous commitment to keeping our valued customers at the heart of our business. We are pleased that our efforts are recognised by the industry at the international level. This will drive us to continue creating more value for our stakeholders and clients through our end-to-end company incorporation services. Tax season has just begun and it is an obligation for all Malaysian taxpayers to file their return without any delays (before 30 April). For employer, we would like to remind you that now are the time to start preparing the Form E [Return Form of Employer – Remuneration for the Last Calendar Year]! In addition, employers should have prepared the EA form (EA for private sector employees; EC for public sector employees) to all his employees. As for Companies (LLP, Trust Bodies and Co-operative Societies), the filing of Form E (Borang E) has to be done the latest by 31 March (A grace period till 30 April 2018 to file the Form E online is granted if anyone of the company director or business owner has an e-Filing PIN, which registered to the business entity) even the entity has no employee OR dormant OR has not commenced business during the calendar year 2017. Please be reminded that failure to comply with this mandatory requirement will result in the fine penalty of RM200 (to RM20,000 or to imprisonment for a term not exceeding 6-months, or both). We would like to remind you about the filing of personal income tax. Here are some important deadlines and please do not forget to check out Personal Tax Reliefs in Malaysia. To embark on a journey of success one needs the tools of preparedness, foresight, and strategy. We believe that with your continuous support, 3E Accounting Malaysia can do more to help more ambitious entrepreneurs and play our part in the country!